You often see shirts, caps and jackets that feature logos from your favorite collegiate and professional sports teams. Now you can add high quality jewelry products and watches to the list! All Star model with Stainless Steel strap is assembled in China utilizing Miyota®, a high quality Japanese movement. Is available in Men's or Women's size. Tested for water resistance to 100 feet. Includes a limited lifetime warranty. 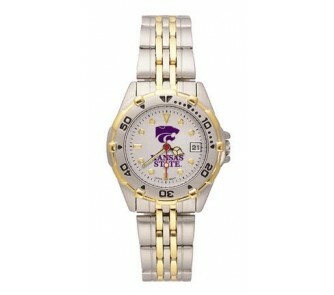 To see a list of all Kansas State Wildcats jewelry available, click here.